Mykenzi is tiny. She’s three years old and weighs only 23 pounds. When we met her, she had just finished two days of stem cell harvest. It’s about as much fun as it sounds. And she was headed into her third round of chemo. She has neuroblastoma – an adrenal cancer that occurs in developing nerve cells – and doctors are throwing everything they can at her little body to treat the disease. 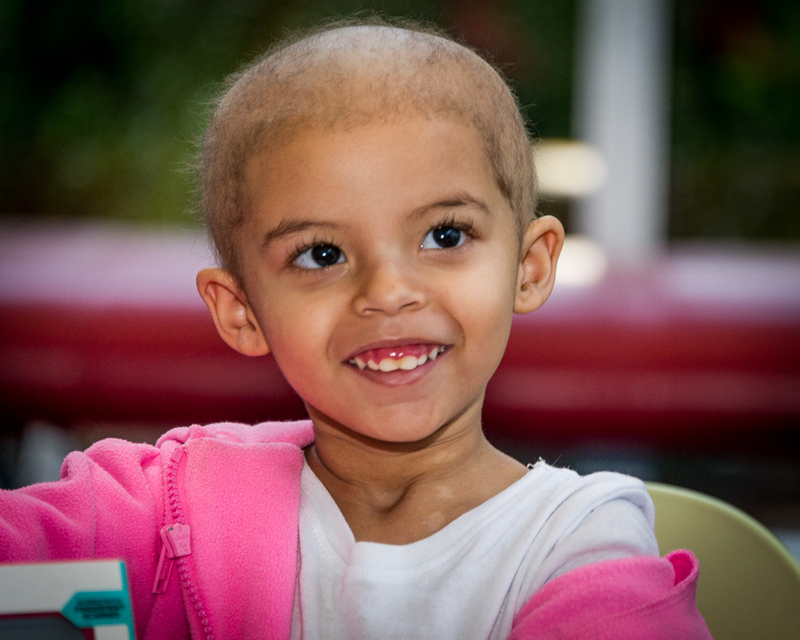 Five-year old Team Summer kid Elijah was exactly where she was a couple of years ago, battling the same disease. Now healthy and growing stronger every day – Elijah remembers something that helped him so much during those awful days – an iPad he got from another Team Summer kid. He wanted to give Mykenzi the same gift. When she tore off the wrapping paper, Mykenzi knew exactly what it was, just from the picture on the box! 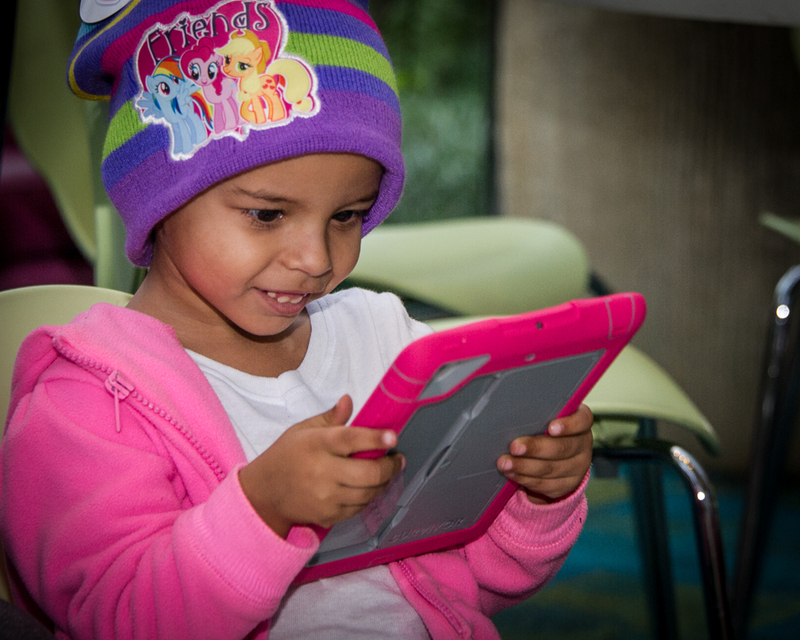 She had borrowed the hospital’s iPad before to listen to music and play games. There must be lots that Mykenzi doesn’t understand about what’s happening to her. But she definitely understood that this was an iPad of her very own! 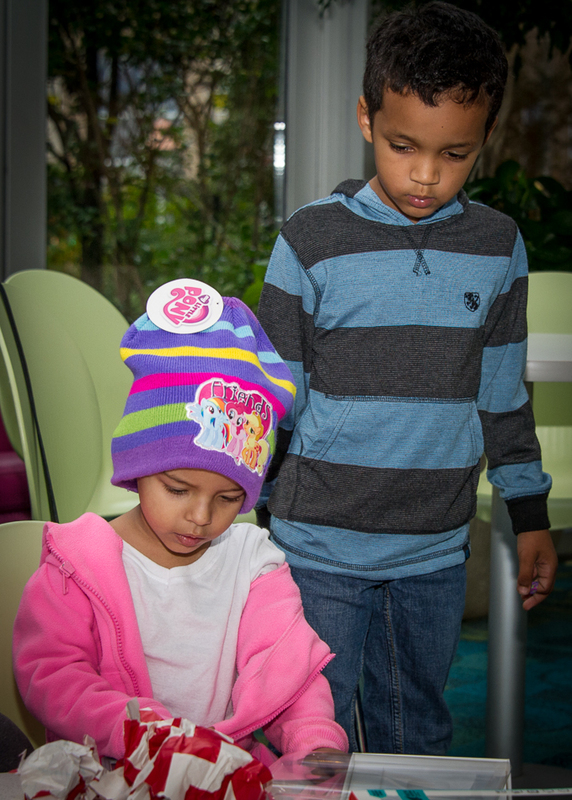 Elijah also gave Mykenzi a sturdy case in her favorite color – pink! – to protect her new treasure, and an iTunes gift card so she can download her favorite games! 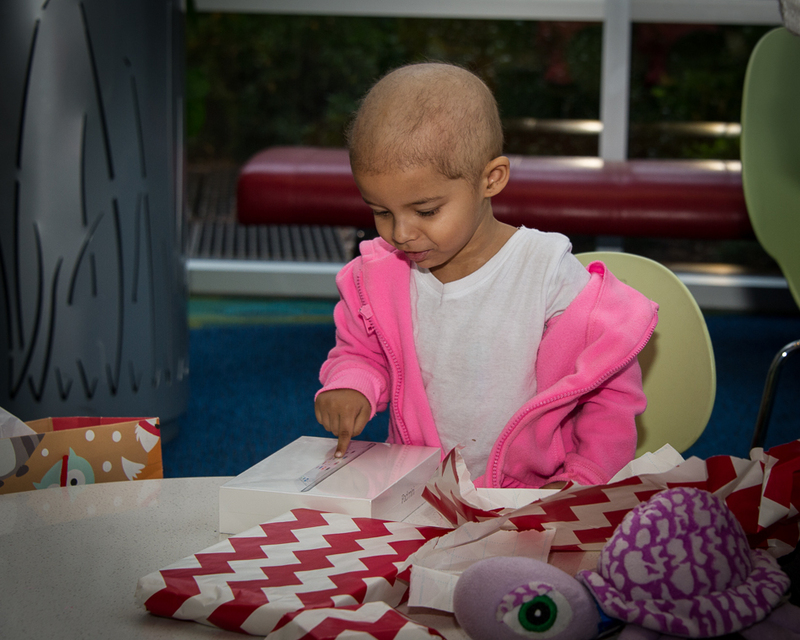 A few hours later, as her next round of chemo started, this little girl wasn’t thinking about needles and bags of dark fluid. She was glued to her own private screen, lost in a world of Barbie games and cartoons. Her mom calls the iPad a lifesaver. 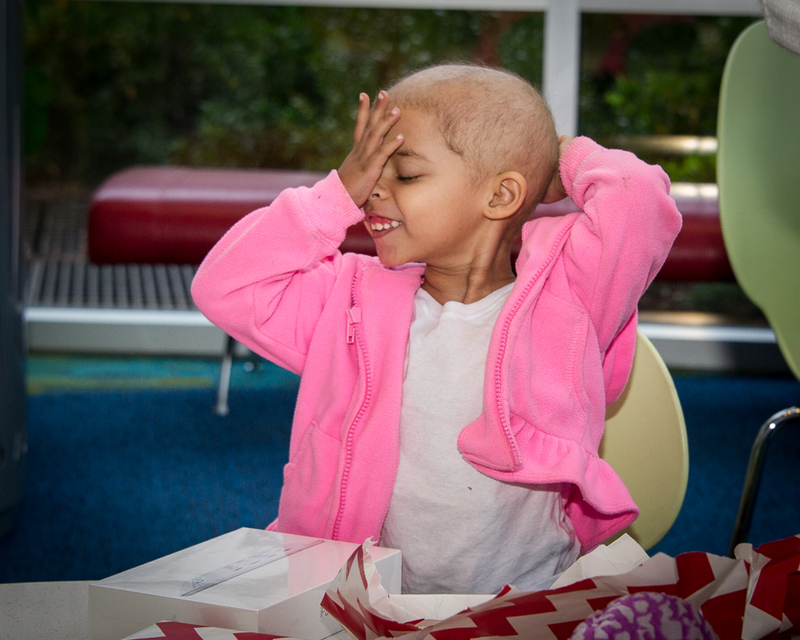 To all of you who contributed to our end-of-year fundraising drive, remember this smile. All that Mykenzi had to endure that day, and in the days to come, was made a bit easier…thanks to your generosity! To donate to Team Summer, click here!